This entry was tagged historical patterns, knitting, knitting history, socks. Bookmark the permalink. How very interesting. Where did you get the old knitting book? The book was from my grandmother. She was born in the early years of the 20th century and the book is from 1880 so it was probably originally owned by her mother or even grandmother but I’m afraid I don’t know. 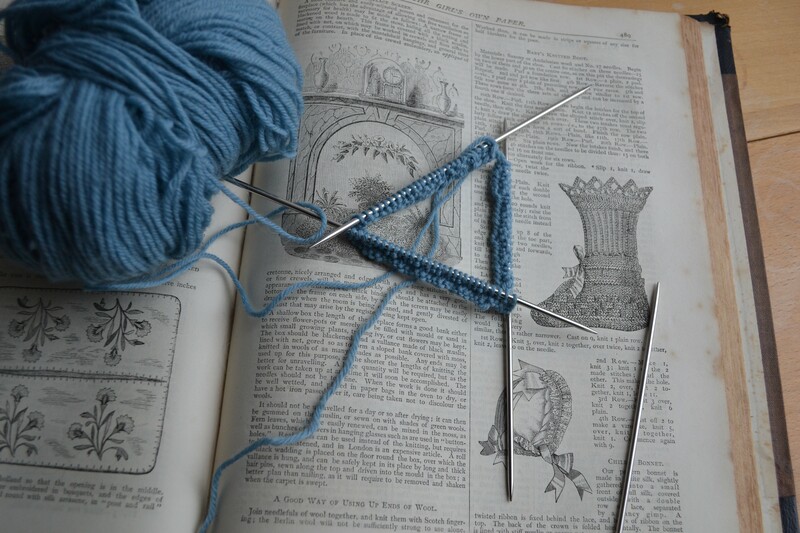 It has a mix of articles, not just knitting and sewing. The familiar mix really – fiction, advice about home-making and even a problem page. Those Victorians were pretty unsympathetic to some of their readers though – if they thought the question was silly they said so in no uncertain term, and scolded some of the readers about their handwriting! Wow, that book is truly a treasure.